It is the first day of elementary school after summer break, and the children are surprised to find a strange redheaded boy has joined their class. Soon after, some of the children begin to suspect there is something special about the newcomer. Could he be the legendary “Matasaburo of the wind”, or just another boy? Recently I reviewed the classic story “Matasaburo of the Wind” by Kenji Miyazawa, an author known for his famous novel “Night on the Galactic Railroad”, which was also made into an anime movie. I felt this would be a good translation project so I decided to try translating it from Japanese into English. However, as it is quite long, I did just the first 1/5th of the story for now. This was quite a challenging translation, due to many factors including an uncommon regional dialect, old Japanese terms (the story was written in 1924), as well as what appear to be errors in the text. The meaning and interpretation of certain parts of this story appear to be disputed even among Japanese people, but this was actually a blessing since I was able to find some sites online that discussed various aspects of it. Nevertheless, my translation does not try to steer the reader towards any specific interpretation any more so that the original work does. 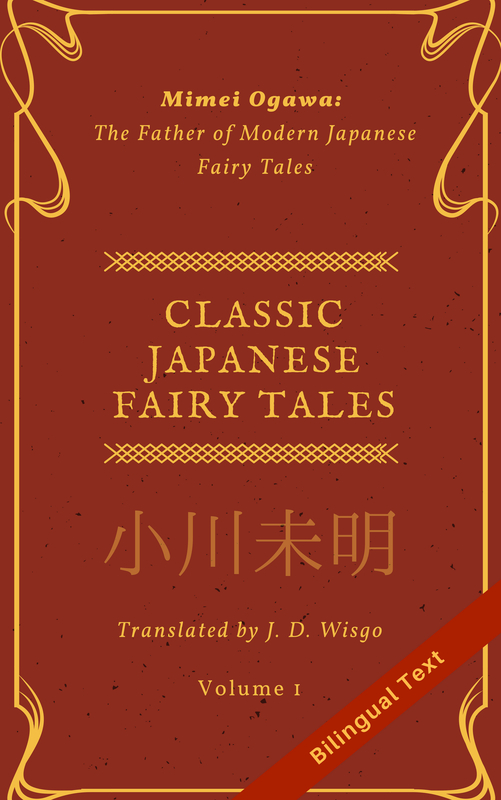 Though I have read other classic stories before, this was one of the first times I translated Japanese that was nearly a century old, and I made it a point to try and use some language that is a little aged. However, rather than trying to make the English accurate to the 1920s, I tried to focus on expressing the difference between modern and more classic language. The Japanese used was actually more similar to modern Japanese than I would have expected, given it was from so many decades ago. Whether I continue to translate the rest of the story will depend on several things, including how much interest there is in the community. So if you want to read more of this story in English, please let me know via comment, like, or email. On the bank of a mountain stream was a small school. There was but a single classroom, with students from grade one to six except for the third grade, for which there were none. The schoolyard had little more than a tennis court, although directly behind the school was a picturesque grassy mountain dotted with chestnut trees, and on one corner of the schoolyard was a cave where chilly water bubbled up from the earth. It was a refreshing September morning, the first day of the month. Wind blew under the blue sky in strong gusts making deep doh sounds, and sunlight filled the schoolyard. Two first graders wearing heavy black pleated trousers entered the schoolyard from the river embankment, and after seeing no one was there they passed through the gate, taking turns cheerfully yelling “Yippee! I’m first! I’m first!” But when they glanced inside the classroom, they froze in shock and stared at each other’s faces, shivering terribly, until at last one of them began to cry. As for the reason why, within that silent morning classroom was a boy with strange red hair and a face they had never seen before, sitting studiously in the first row of desks. Where he sat was the very desk of the weeping child. When the other child, also on the verge of tears, forced himself to stare at this newcomer, from upriver came a loud voice that said, “too-day yip-pi-yay too-day yip-pi-yay“, and Kasuke, in the likeness of a large crow, ran smiling into the schoolyard carrying his bag. A moment later, Satarou, Kousuke, and the others followed after, making a great ruckus. “Why are you crying? Did you stick your little nose where it doesn’t belong?” Kasuke said to the child who as about to cry as he grabbed his shoulder. Then this boy started to wail loudly too. As the others looked around quizzically, they caught sight of the strange boy with red hair sitting formally in the classroom. Everyone fell quiet. The girls also gradually trickled in, but no one dared speak even a single word. The other children in the yard began raising their voices in a clamor while they pointed towards the strange boy inside the classroom. Ichiro himself stared at the boy for some time, then suddenly lifted up his bag and hurried up to below one of the classroom’s windows. The rest of the children, their spirits lifted, followed behind Ichiro. “Who is the one that entered the classroom before it’s time?” Ichiro asked as he crawled up the wall and stuck his head inside the classroom. “If the teacher finds you in the classroom on such a nice day you’ll be badly scolded,” Kousuke warned from below the window. “Don’t blame me if you get yelled at,” Kasuke said. “Come outside quickly! Come out!” Ichiro said. But the boy only looked around nervously at the inside of the classroom and the children standing outside, sitting on the stool with his hands placed neatly on his knees. The boy’s appearance was truly a thing to behold. He wore a baggy shirt in an unusual shade of gray, white shorts, and low-cut red leather shoes. Moreover, his face was just like a ripened apple, especially his coal-black, perfectly round eyes. Ichiro wasn’t sure what to do since the boy didn’t seem to understand what they was saying. “He must be joining our school.” The children’s uproar continued. But then the fifth grader Kasuke suddenly yelled out, “Yeah, he’ll be in the 3rd grade!” which satisfied the younger children, but Ichiro remained quiet, cocking his head to one side. As before, the strange boy sat completely still, staring silently at the other children. At that moment a strong gust of wind came, rattling the glass doors of the classroom, while the grasses and chestnut trees on the mountain behind the school swayed, their colors eerily fading, and the boy in the classroom appeared to shift his body and grin ever so slightly. When the others turned around, they saw Kousuke had stepped on Goro’s foot, who had gotten terribly upset and was punching Kosuke. Then Kousuke himself became angered and said, “Hey, don’t start punching when it’s your own fault!” after which he began to punch back. His face wet with tears, Goro tried to grapple with Kousuke. At that point, Ichiro pulled the two boys apart and Kasuke restrained Kousuke. “Hey you two, no fighting! The teacher in the staff room now,” Ichiro said as he turned to look at the classroom when his face suddenly went blank. There was no trace of the strange child who had been in the classroom until just a moment ago. The children felt as if a pony they had befriended had been sent far, far away, or a long sought-after mountain chickadee had escaped from their grasp. The wind once again gusted powerfully and shook the windows, while dark waves slowly rippled through the long grasses on the mountain upstream. “Hey! Matasaburo disappeared because you two were fighting!” Kasuke said angrily. The other children concurred with this. Goro felt terribly guilty, forgetting about his painful foot as he dejectedly shrugged and stood up. “Look, Matasaburo left some pebbles on my desk,” a second grader said. Sure enough, on the boy’s desk were a bunch of small, dirty rocks. Just as Kasuke was saying, “No, that’s not true!” yet another surprising thing happened. Their teacher stepped out of the classroom’s front door. A shiny whistle in her right hand, she was already preparing to gather the students for class, and directly behind her was the redheaded boy with a unforgivingly serious expression, like a servant attending the incarnation of Buddha, donning a white hat as he boldly followed the teacher. “Good morning, students. You all look to be in good health today. All right, everyone line up.” The teacher’s whistle made a piercing twe-weeet. The sound reverberated off the mountains on the far side of the valley and echoed back as a muted twe-weeeeeet. The children did just as they had before the school break, organizing into vertical rows by class: one 6th grader, seven 5th graders, six 4th graders, and twelve 1st and 2nd graders. Eight 2nd graders and four 1st graders were lined up together in a group. During this time, the strange boy stared at the others from behind the teacher, biting his tongue on the side of his mouth as if something was funny or interesting. Then the teacher said, “Takada, line up here,” and led him to the fifth grade line, compared his height to Kasuke’s, and placed him between Kasuke and Kiyo, who stood behind Kasuke. All of the children had turned around and were quietly watching this take place. All of the students raised their arms in unison to form a proper line, but of course everyone was curious about how the strange boy was doing, so they took turns looking back or staring at him from the corner of their eyes. But the boy seemed to know everything, even how to line up, and casually stretched both arms forward just far enough to barely touch Kasuke’s back, making Kasuke look uncomfortable as if his back was itchy or tickled. “Eyes front,” the teacher ordered. “Now proceed in class order, beginning with the first graders.” At this point the first graders began walking with the second graders following closely after, passing in front of the group and heading towards the entrance on the right where the shoe cabinet was located. When the time came for the fourth graders to move, the strange boy followed behind Kasuke, strutting proudly before the class. The children who had gone ahead occasionally looked back to see him, and the ones behind stared intently ahead at the boy. Soon all the students had put their shoes in the shoe cabinet, entered the classroom, and were sitting in their desks in rows organized by class, just as they had done outside. The strange boy, his demeanor serious as ever, sat directly behind Kasuke. But by this time, the class was already making a great commotion. The chattering subsided momentarily as the children bowed, only to return soon after. “Quiet everyone. Please be quiet!” the teacher said. “Shhh! Etsuji, you’re too loud. Kasuke, Kikko, you too. Hey!” Ichiro scolded the noisiest children one by one from the back of the room. At last, the talking stopped. Everyone immediately raised their hands. The boy who had been called Takada quickly raised his own hand causing the teacher to chuckle, but she soon said, “All right class. That is enough,” so the children lowered their hands in unison, as if a flame had been put out. “Yes?” the teacher motioned towards Kasuke. “Wow, I was right! I knew he was Matasaburo!” Kasuke clapped his hands rapidly as if dancing at his desk, a spectacle that made the older kids break out laughing, but the younger ones silently stared at Saburo as if something about him scared them. Everyone busied themselves opening bags and untying wrapping cloths, placing their report cards and notebooks on their desks. Once that was done, the teacher began to collect them in class order, beginning with the first graders. At that moment, the children were all terribly startled by something. That something was an adult who had seemingly appeared out of nowhere and now stood at the back of the classroom. He wore white, baggy clothes made from hemp, a black shiny handkerchief around his neck in place of a necktie, and in his hand he carried a white fan that he slowly cooled himself off with as he looked down upon the students with a trace of a smile upon his face. Little by little the students became quiet and stiffened with fear. But the teacher paid no attention to this person and continued gathering the students’ report cards one by one until she came to Saburo’s desk that had neither a report card nor a notebook, only two hands balled into fists. But she passed him by without a word and gathered the rest of the papers, then returned to teaching pedestal, papers in hand. Ichiro said, “Attention,” and the children all stood up in unison. The man in the back of the room also lowered his fan and got up. “Bow.” The teacher bowed along with the rest of the class. The man lowered his head slightly. With that, the kids in the lowest grade darted out of the classroom while the fourth graders remained uncomfortably in their seats. Saburo walked over to the man in the back of the classroom who wore baggy white clothes. The teacher stepped down from her teaching pedestal and joined them in the back of the room. “This class is honored to have such a wise and able teacher,” the man said politely as he bowed to the teacher. “I’m certain he will become good friends with everyone very soon,” the teacher responded, returning the bow. “I pray you will take good care of him. Farewell,” the man said as he bowed even deeper and gave a signal to Saburo, then went out the front door and waited outside while Saburo, eyes wide open as everyone watched him, silently left through the side entrance and met the man outside, and then they walked together through the schoolyard down towards the lower part of the river. Once the two left the schoolyard, the boy stopped and turned around to glare intently at the school and the other children briefly, then quickly ran to catch up with the white-clothed man. “Teacher, is that man Takada’s father?” Ichiro asked, broom in hand. “His name isn’t Matasaburo, it’s Saburo,” Sataro interjected. “It’s Matasaburo! It’s Matasaburo!” Kasuke yelled, turning red-faced. “Kasuke, since you are still here, help us clean,” Ichiro said. Kasuke then escaped from the classroom in a great hurry. The wind blew through once more and rattled the windows, making small black ripples on the surface of a bucket where someone had placed a dirty rag.